America is known for our love of ridiculously big foods, but Japan wants to remind us that they can be gross too – at least for a limited time. 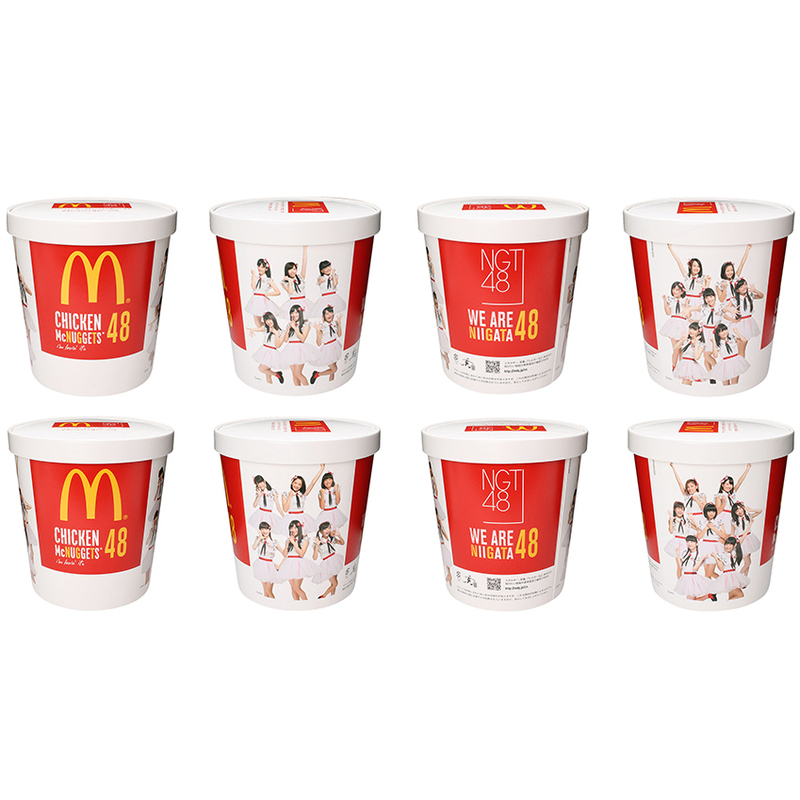 To promote a Japanese pop group called NGT48, starting on December 1, McDonald’s in the Niigata prefecture will be serving up 48-piece buckets of Chicken McNuggets. It’s a huge step up for a country whose current largest McNugget size is a sad 15 pieces. Each bucket will come branded with imagery of the music act and a commemorative card featuring one of the group’s 25 members. (Quick side note: No matter how ridiculous you think a 48-piece bucket of McNuggets is, it’s nowhere near as ridiculous as a pop group with 25 members.) Apparently the tie-in makes sense because people in Japan were calling the group “Nugget 48” – though I think if you’re looking for justification of the reasons for serving up a 48-piece bucket of Chicken McNuggets, you’re probably just overthinking things in life. McDonald’s 38 Niigata locations will be offering this promotion while supplies last. And by supplies, we mean the buckets.